Hey guys! This is the second post of the series “Most Common Mistakes”. Last time, I showed you guys some terrible mistakes people usually do while dealing with Beatdown decks. And this time, I am going to talk about Hog Cycle deck since the 2.6 Hog deck is very dominating at the moment. Also, I have the knowledge, which could be qualified as a very good one, about the Hog Cycle. I made it to 4,700 trophies with a Hog cycle deck (cards at 11/8/5/1). So, I decided to pick Hog Cycle as the second episode of this series. What is Hog Cycle deck? The Hog Cycle Deck is a very cheap deck evolving around Hog Rider. When using Hog Cycle deck, you can easily cycle through the deck to your Hog while also out-cycling its counters. This kind of decks applies a huge lane pressure and makes loads of damage to the Tower on any mistake from the opponent. Otherwise, you can always easily chip away the opponent’s Tower with cheap Hog pushes. Similar to beatdown decks, Hog Cycle can destroy you on a simple mistake! Over-committing: Don’t spend more than enough Elixir on offense because your opponent might play a quick Hog push when you can’t do anything but just watch it. Hog pushes are very cheap. Hog players can easily use their Elixir advantages to punish you. Placing a building too early: Although it’s not too bad in many cases but your opponent still can easily bypass your buildings and destroy your Tower by running the pig push. The only way to deal with this is to place your building near enough from the Rider so the Hog can’t bypass it, but it also means the Hog can destroy it a lot easier. This is not good in both cases. Also, If you place your building too early, it will lose a decent amount of HP, which could completely change the outcome of the battle. Defending with weak units: As Hog players always use Fireball, The Log, Zap, Ice Spirit, Ice Golem etc, I strongly recommend you do not defend Hog Rider with Skeleton Army, Minions, Skeletons, Goblins etc unless it’s your last choice. Good Hog players are always ready to react. In fact, Hog Players usually use Fireball, Log or Zap on offense even without knowing your cards. Using heavy deck or having only 1 Hog counter: If you have only one Hog counter, that’s okay as long as you can cycle to it on time. If not, you need at least 2 counters. They are cards you need to keep as the defense against the Hog. Counter could be either a card or a combo. 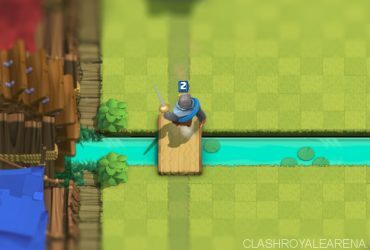 Being too focuses on one lane: Good Hog players always attack on two lanes, depending on the situation, so watch out for this because a simple undefended Hog push can destroy your Tower before you even notice it. You need to care about how Hog cycle is played in order to deal with it. 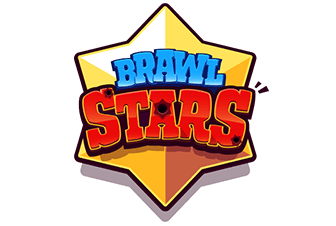 Placing units on the wrong lane: Assuming that you are a beatdown player using a Musketeer, you will not want to place your Musketeer on the lane the Hog is coming down If your tank is on the other lane. Place her in the middle (but she is still on the other side) so that she still can defend from the other lane. You will still able to make a strong push! Overdefending: This is overcommitting on defense. 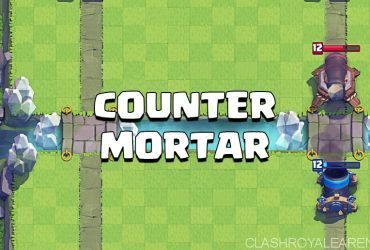 Hog users usually launch the Hog Push to apply the pressure on the other lane while you are trying to build a big push, forcing you to split your Elixir. Do not defend it perfectly! What does this mean? It means If you manage to defend by spending just a very few Elixir, you will still be able to launch your unfinished push on the other lane. If you spend a lot of Elixir on defense, your push might be very weak and not enough to touch the Tower. 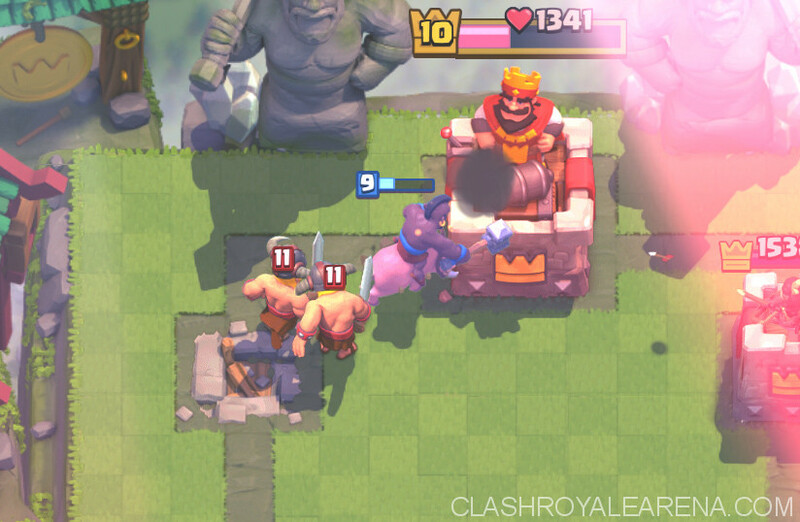 Sometimes, as a beatdown player, you need to try the high risk high reward style: Just let the Hog hit your Tower to build a strong push which can’t be stopped. 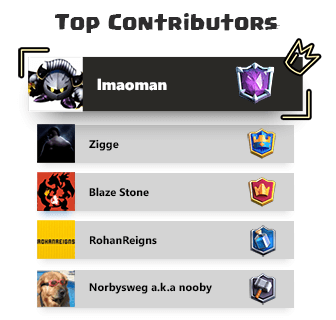 Moreover, a lot of players defend against Hog pushes with the Inferno + Log/Zap, that’s a lot of Elixir. You don’t need to do that because you can pull the Hog to the range of the both Towers. Misplacing your building: Yea this is a popular one! People do this a lot! Misplacing your building is fatal against good Hog players. You need to place it so that the Hog won’t Ignore it when your opponent does the pig push. This can easily transform from a sure loose to a sure win. Not taking damage when you are low on Elixir: You need to build up Elixir when you have the Elixir disadvantage. Ignore units you can ignore like Goblins, Minions, Archers etc coming at your high HP Tower. Sacrificing Tower HP is the key to victory sometimes. Make sure the units you are going to ignore can’t do massive damage on your Tower otherwise you will not be okay at all. Not reading your opponent: As mentioned before, the key point to counter Hog decks is to know how your opponent is using it. You have to care about not only skill, gameplay but also his cards. Hog Rider decks usually feature cards which could surprise you like Fireball, Lighting, Rocket or Freeze. Against Hog Rocket decks, don’t let them do chip damage on your Tower: Because Rocket does a lot of damage, letting the opponent Hog Rider hit your Tower multiple times is going to cost you the game! They don’t have to make successful push. They just need to chip away your Tower then use the Rocket to finish off. Against Hog Lightning decks, you need a good defensive troop + building: The building is for baiting, the defensive unit is for killing the Hog. Place the building, wait for the Lightning then place your defensive troop down! Against Hog Freeze decks, you really need a building: If you don’t have any building, it’s pretty hard to stop this combo! If you have a building, a many Hog Freeze users will waste their Freeze during the fight sometimes. Just place your building, wait for the Freeze then place your defensive troops! Against Hog Fireball decks, you need to defend pretty hard and make at least mistakes possible: Hog Fireball is pretty spammy. They will usually use the Hog Rider + Fireball combo during the x2 Elixir time to finish off your Tower. Vary your defensive troop and building placements to deal with the Fireball.